As e-commerce continues to make inroads across industry sectors, it's disrupting numerous business models. That includes those of manufacturers who've traditionally been several steps removed from end consumers—the ones most known for shopping online. In 2015, e-commerce shipments accounted for 63 percent of the value of manufacturers' overall shipments, up from 48 percent in 2010, according to U.S. Census Bureau data. "The difference between manufacturing and retail is starting to get fuzzy," says Bob Malley, chief executive officer of Pierbridge, a Marlborough, Massachusetts-based provider of supply chain technology solutions. "For instance, more manufacturers are becoming drop-ship suppliers, and have to support a business-to-consumer (B2C) distribution model." "Manufacturers are deciding 'we better get in the game and sell our products directly to the consumer, or Amazon's going to do it for us, taking revenue and margin we could have captured,'" says Jason Minghini, president of FW Logistics, a Centreville, Illinois-based provider of logistics and warehousing solutions with facilities dedicated to contract, food grade, and chemical and hazardous materials. A number of FW's clients, across various industries, have considered opening facilities that will allow them to go straight to consumers and bypass brick-and-mortar outlets, he says. These companies are ready to meet your e-commerce challenges. FW Logistics provides inventory storage and fulfillment services to e-commerce sellers of all types and sizes. We flex, increase, and reduce the amount of space, tracking, picking technology, and staff within your budget–all when you need it the most. All our equipment is 3 years or newer for the reliability that you deserve and the technology that you expect. As a full-service 3PL, we own our 85 trucks and 350 new trailers that go nationwide. We go above and beyond when other 3PLs won’t, no matter what your company size. 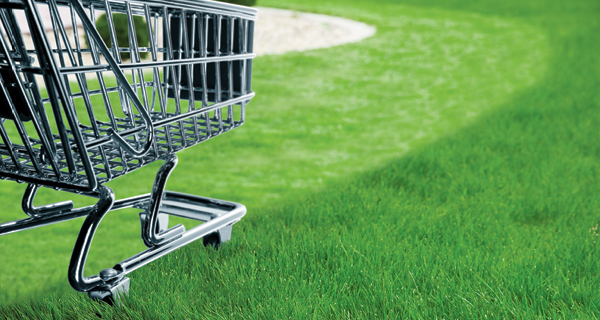 Transtream, powered by Pierbridge, helps reduce shopping cart abandonment with accurate pricing and delivery options. Customers don’t want to pay for shipping and they want delivery choices. The more options you can provide early on in the shopping experience, the less likely your customer will abandon your e-commerce site. They also want to track delivery status and have an easy returns process, like Amazon has. Transtream provides a multi-carrier, omnichannel API for shopping carts, and customer self-help tracking and returns widgets for your website, that will keep customers coming back for more. We develop custom omnichannel logistics solutions for manufacturers, retailers, and e-commerce companies. They count on us to deliver seamless service across all channels, fulfill orders from multiple sources, provide real-time availability information, speed shipments and control costs. Our solution-based, data-driven approach employs advanced operational methods and technologies, including a robust OMS. Companies leverage our nationwide network of strategic locations to get products closer to their end customers and increase supply chain velocity. Comprehensive transportation capabilities minimize delivery expenses. Scalable resources and a range of services give them flexibility to accommodate business fluctuations and growth.